The Box Office for Theatre 62’s next production at Wickham Theatre Centre is now open. 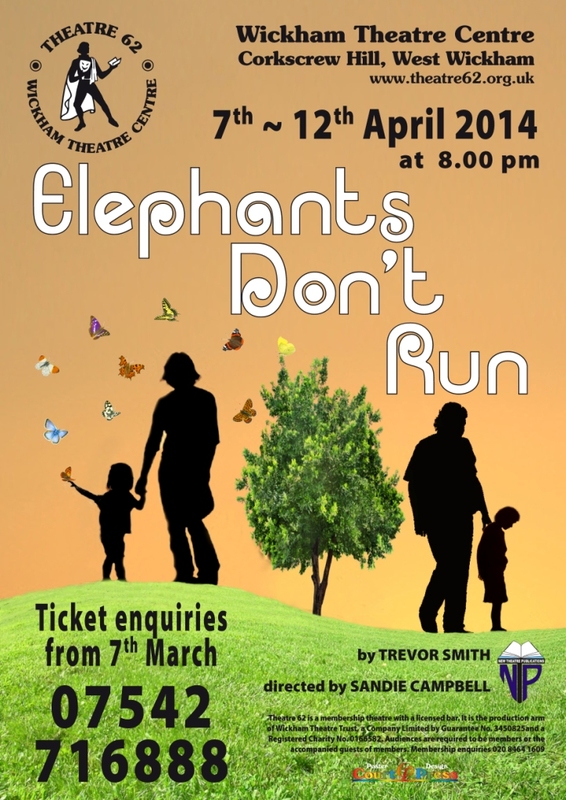 Details about booking for Elephants Don’t Run can be found here. Show dates: Monday 7th – Saturday 12th April 2014, 8 p.m.